The Psalter Hymnal’s single versification of Psalm 131 beautifully matches the simplicity of its source. Number 276 is intelligible yet carefully composed, ably balancing both poetry and Scriptural accuracy. Rounding out this selection is the wisely chosen tune, TRENTHAM. Familiarly set to the words of “Breathe on Me, Breath of God,” this melody is simple (again!) and poignant. All in all, I have no complaints to make about number 276! Most of the action on URC Psalmody occurs right here on our WordPress-hosted blog. But did you know that URC Psalmody also has a twin YouTube channel that’s regularly being updated? 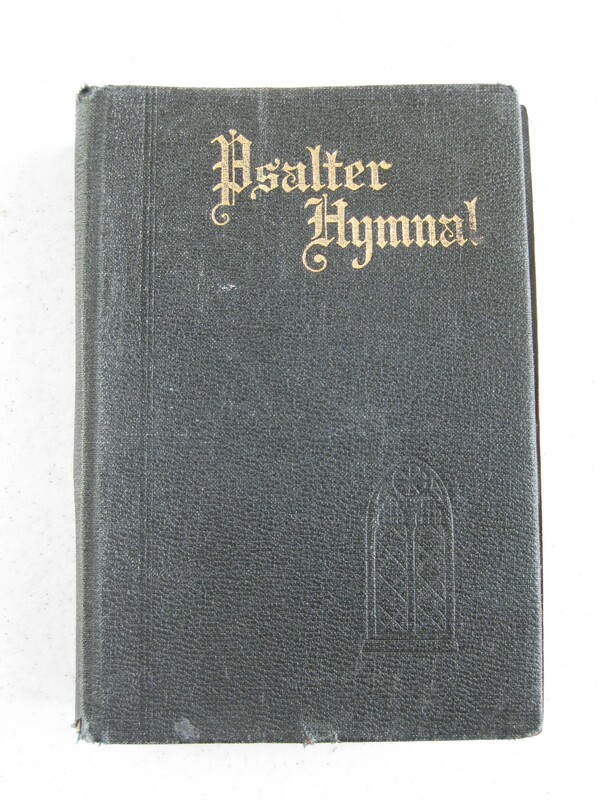 As I wandered the world-wide web looking for resources related to the Psalter Hymnal, one thing that particularly grieved me was the sore lack of real recordings of its songs. You can find a computer-generated MIDI file for any psalm or hymn tune fairly easily with websites like Hymnary.org and CyberHymnal.org, but it’s a much more difficult quest to obtain an MP3 recording of an actual congregation singing. I was quite excited to discover the online music recording library of Cornerstone United Reformed Church in Hudsonville, MI, yet even this resource was somewhat lacking in convenience and accessibility. A YouTube channel seemed to be an ideal solution to this problem. Thus, on May 21 I uploaded our first video, in which I played the Gloria Patri (Psalter Hymnal #491) on the pipe organ at Christ Reformed Church in Washington, DC. After that came a simple organ recording of #181 (“Jehovah Sits Enthroned”) and a piano improvisation on #74 (“As the Hart, About to Falter”). Then came Synod 2012. As I prepared for this meeting, I inquired of the synodical planning committee whether it would be possible to professionally record the singing of the 200+ delegates, which I knew would be otherworldly. They answered in the affirmative, and by the end of synod I had all of the resulting audio files ready for editing on my computer. One result of this project was the CD recording My Heart Was Glad to Hear the Welcome Sound, which was produced and distributed by Pompton Plains Reformed Bible Church, the convening church of Synod 2012. As it turned out, however, URC Psalmody’s YouTube channel proved to be the perfect place to share this incredible music with the whole world at no additional cost. Thus, our next 30 (yes, thirty) videos contained the various songs from synod, combined with a slideshow of pictures taken during the week. Of these, the recordings of “Jesus Shall Reign Where’er the Sun” (#399), “For All the Saints” (#442), and “Jesus Saves” (#377) have become the most often-viewed videos on the entire channel. Later in the summer I uploaded more videos to YouTube—some musical selections from West Sayville’s Teens All Serving Christ (TASC) project, an improvisation on Psalter Hymnal #168 (“Lord, the God of My Salvation”), and a few recordings of the congregational singing of West Sayville Reformed Bible Church. When considering songs for uploading I try to pick some of the Psalter Hymnal’s lest familiar selections, since these are always the hardest to locate online. One fruit of my October trip out to Community URC and Mid-America Reformed Seminary in Indiana came in the form of two new videos: the recording of my Sunday School class, “Psalms for a New Generation,” and a video interview with Jim concerning Chapter 8 of Sing a New Song. These are much longer entries than single pieces of music (about 35-40 minutes each), but they constitute an exciting and important part of the channel! When I got back from Indiana, there was a package awaiting me from my good friend and loyal blog reader Reita Julien. Inside was a cassette tape from Trinity Orthodox Reformed Church in St. Catharines, ON. Mrs. Julien had obtained permission for me to digitize this sparkling 1989 recording and post it online. The result was the 17-track album Songs of Praise, which is now available on YouTube in its entirety. Most recently I’ve created ten playlists that arrange our videos, as well as videos from other channels, by numerical order in the Psalter Hymnal: #1-50, #51-100, #101-150, #151-200, #201-250, #251-300, #301-350, #351-400, #401-450, and #451-493. And I’ve also continued to upload a variety of other recordings of Psalter Hymnal psalms and hymns. All in all, just like the rest of the blog, I am confident that URC Psalmody’s YouTube channel will continue to expand and grow in the year 2013! Below is our very latest upload: the West Sayville Reformed Bible Church choir singing Psalter Hymnal #198, “Thou, O Lord, Art God Alone.” This arrangement was created for New Year’s Day 2012, and it seems to merit a special mention here as we look forward to yet another new year. Enjoy! For an extremely low-traffic blog, a surprising amount of activity occurs here on URC Psalmody. Today I’d like to embark on a short and hopefully enlightening tour of the various statistics WordPress provides concerning our site. Our daily site hits vary widely, ranging anywhere from 10 views to more than 100. The best day for views was Saturday, June 16, 2012 (the day after Synod 2012 concluded), which brought in just under 300. While URC Psalmody’s reader base is tiny, we have been visited from over 80 countries, including such exotic places as Aruba and the Turks and Caicos Islands. Heading the list of countries are (not surprisingly) the United States, with more than 9,000 views this year; Canada, with about 2,500; and the United Kingdom, with about 400. But where do all these views come from? Our biggest source of traffic comes from search engines, mostly Google. Some of the most popular search terms that lead users to URC Psalmody are “reformation day,” “dale grotenhuis,” “christmas psalms,” “psalter hymnal,” and “urcna synod 2012.” Other referrals come from Facebook, Twitter, and email providers. Surprisingly, the third largest contributor to site views is Heidelblog.net, a popular Reformed blog by R. Scott Clark. Over the course of the year, Dr. Clark kindly linked to three URC Psalmody articles: Psalm 58, Psalm 59, and Singing the Psalms: An Answer to Neo-Baalism. We’ve also gotten a significant number of views through links from some of our fellow URCNA bloggers: URCNA Synod Reports, The Reformed Reader, and Ascribelog (among others). We’re grateful for each link posted to help spread the word about URC Psalmody. And keep in mind that Facebook continues to be our second-largest source of site traffic! Just as visitors click links that direct them onto URC Psalmody, they often click our links to external websites. The biggest attraction in this area is URC Psalmody’s YouTube channel, which I may revisit in a later post. 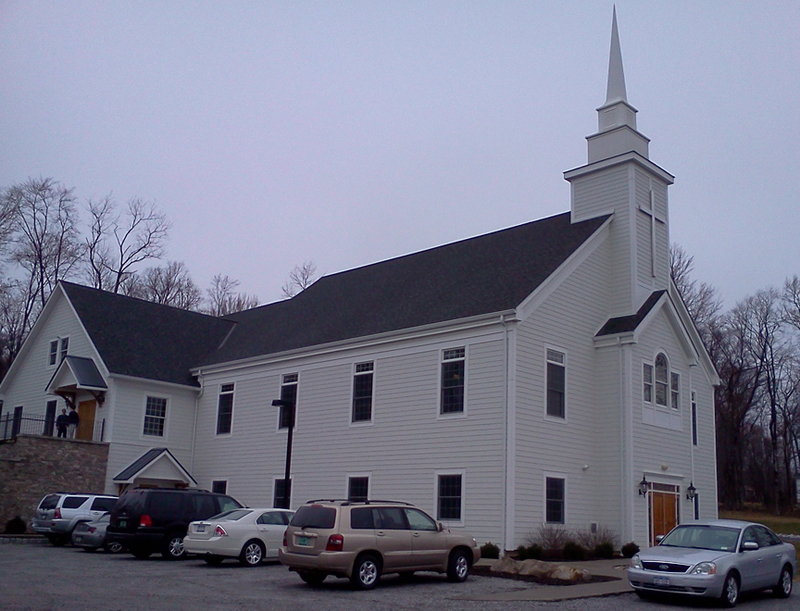 Through the Psalter Hymnal Resource Library, many visitors are directed to .mp3 files from Cornerstone United Reformed Church in Hudsonville, MI. We’ve also seen significant interest in the materials surrounding the Book of Psalms for Worship (from crownandcovenant.com), the proceedings of Synod 2012 (on urcna.org), and the online version of the 1912 Psalter on Google Books. The number of people who “follow” URC Psalmody (which simply means that they receive notifications via email or WordPress whenever we publish a new post) has been unexpectedly slow in rising. We currently have about 60 followers—about 30 fellow WordPress bloggers and the same number of email subscribers. This data is far from discouraging, however, since our followers come from a variety of backgrounds and span multiple denominations—even multiple continents. 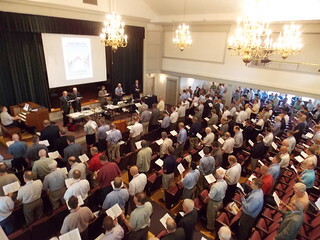 At the same time, it’s hard to judge how many of these folks are actually regular URC Psalmody readers. So we would urge you to drop us a note now and then if you truly follow the blog and enjoy our articles—it’s one of the simplest and most encouraging things you can do in the blogging world! Contemplating the Covenanters (7/18/12): This personal reflection by Jim on the Reformed Presbyterian Churches of North America (RPCNA) was this year’s number-one favorite article by a long shot, gathering more than 400 views to date. Our Covenanter brothers and sisters, it seems, were delighted to read such a positive and friendly report on their worship practices. Jim’s article was even featured on the official Facebook page of the Book of Psalms for Worship. Singing the Psalms: An Answer to Neo-Baalism (10/5/12): As mentioned above, this article was shared by Dr. R. Scott Clark on the Heidelblog—hence its popularity. Wednesday Update (6/13/12): Tied with #2 is this brief post, which is quite ordinary except for the fact that it announces the URCNA’s decision to merge efforts with the OPC to produce a new joint Psalter Hymnal. The Book of Psalms for Worship (7/19/12): Jim followed up his post on “Contemplating the Covenanters” with this review of the RPCNA’s songbook, The Book of Psalms for Worship. It was extremely well-received for many of the same reasons as its prequel. Dale Grotenhuis: Establish the Work of Our Hands (8/18/12): I composed this post as soon as I heard of the passing of renowned Reformed musician Dale Grotenhuis on August 17th. Although sorting through a long list of statistics can be tedious, I hope this post hasn’t been altogether boring. As I reflect on the many ways in which URC Psalmody has grown over the past year, I am forced to stop once again and marvel at the impact the Lord has allowed this humble little blog to have. May he grant that its legacy may continue for many more years! At this time last year, plans were just starting to come together in my head for some sort of website about the Psalter Hymnal. As my interest in Reformed worship deepened and broadened, I had begun to search the internet for a source of online information on the intersection between the United Reformed Churches in North America, the Biblical principles for worship, and the songs of our Psalter Hymnal. My quest wasn’t futile, but it was rather disappointing; the results were quite scanty. That’s when I encountered the idea of starting a blog—an online discussion forum with the freedom to focus specifically on these topics, as well as the flexibility to branch out into a wide variety of arenas. By December 31st, the deed was done. I had set up a WordPress account and begun playing around with my blog-to-be, titled, for lack of a better name, “URC Psalmody.” My first post was a meditation on the Psalter Hymnal’s versifications of Psalm 103, followed by a not-too-successful survey on “Instruments in Worship” and an article on “Paraphrasing the Psalms”. When the blog actually went public on January 10th, I guess I expected something dramatic—an immediate and enthusiastic response from the world of Reformed churches, a shower of comments from new readers across the continent, an excited group of eager followers. What I got was nothing. And nothing. And more nothing. Days when the blog got three hits were outstanding; days with zero hits were more typical. I was so eager for participation that I rejoiced to find spam in my trash bin. I had given out links to as many URC pastors and musicians as I knew, including the Songbook Committee, but I wasn’t getting any results. Although I plugged away at new posts, the eerie hush continued until the middle of February. Then, on the afternoon of February 20th, I got an email from Rev. Derrick Vander Meulen of the URC Psalter Hymnal Committee. He had received my email (which I thought was long lost) and promised to spread the word about the blog. And did he ever! The page views on URC Psalmody shot up from 1 on February 19th to 203 on February 20th. Sixty-six of the 68 referrals were from Facebook. At least four new followers joined the blog that same day, and seven comments were posted! While our daily blog views, even now, are nowhere near this initial peak, since then we’ve enjoyed a pretty steady stream of new readers, comments, and discussions. March and April were fairly ordinary months for blogging. I published a three-part series entitled “Meet the Psalm-Hymn,” examining some of the important differences between literal psalm settings and the paraphrases common to the Psalter Hymnal. Then came another three-part series on exclusive and inclusive psalmody, followed by a two-part series on the controversy surrounding the name “Jehovah.” I also enjoyed the opportunity to attend the spring meeting of Classis Eastern US of the URCNA, and published my enthusiastic reaction to this assembly. I rounded out April with a “Resource Roundup” post containing the highlights of my first four months of blogging. Then came May, and with it a buzz of activity and anticipation. At the classis meeting in March I had volunteered as a helper for Synod 2012 of the URCNA, which would be convened by Pompton Plains Reformed Bible Church in June at Nyack College, less than two hours from my home. 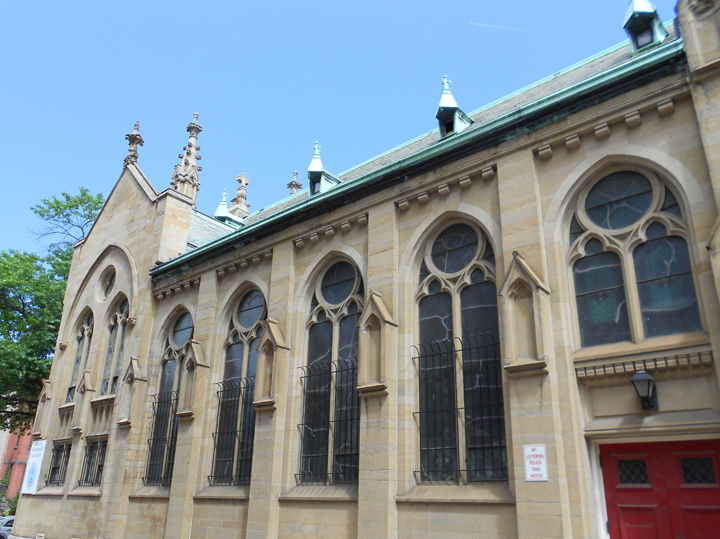 The Lord’s providential hand was abundantly clear in this case, as I quickly received word that I would be recruited not only as a volunteer, but also as the synodical organist. Along with these obligations came the opportunity to attend synod’s open sessions and advisory committee meetings. With overwhelming excitement I began preparing URC Psalmody as a relay point for important synodical news and decisions, especially those pertaining to the proposed URC Psalter Hymnal. Meanwhile I visited Christ Reformed Church, the URC church plant in Washington, DC, and accompanied the worship service on their 1930 Möller pipe organ. Before I knew it, June had arrived, and Synod 2012 with it. I had one of the best weeks of my life in Nyack, from accompanying the attendees at the opening prayer service with two other young musicians (Shannon Murphy and J. P. Galib) to hearing the delegates sing “The Lord’s My Shepherd” and the Doxology as the closing music of synod. Spiritually, I grew immensely from witnessing the matters before synod approached with humility, love, and a surpassing desire to glorify God—and I got to learn a thing or two about the United Reformed Churches in North America in the process. Along the way, URC Psalmody enjoyed one of its busiest weeks with regard to site hits—an extra blessing. But synod wasn’t the only important event for URC Psalmody during the month of June. Back in April I had been contacted by a Mid-America Reformed Seminary student named James Oord, who described himself as an avid follower of the blog and shared an almost eerie percentage of my interests and thoughts. The fruit of our correspondence was that Jim eventually joined URC Psalmody as my co-author. While I participated in West Sayville Reformed Bible Church’s first TASC (Teens All Serving Christ) mission trip (another time of great spiritual growth), Jim shared a meditation on Psalm 54 and published a highly popular introduction to the world of mini Psalter Hymnals. As July rolled around, we tried to fall back into some semblance of a regular schedule on URC Psalmody. Jim’s excellent pieces on “Contemplating the Covenanters” and “The Book of Psalms for Worship” generated another spike in blog views, mostly from our enthusiastic Reformed Presbyterian brothers and sisters. Along with several hundred other youth from every corner of the continent, I attended the 2012 Reformed Youth Services convention at Covenant College in Lookout Mountain, GA, while Jim spent an entire week meditating on the various themes of Psalm 119. In September, Jim and I embarked on a new mission: to summarize and discuss, chapter-by-chapter, a recently-released book on psalm-singing entitled Sing a New Song. These weekly discussions took us from then until just two weeks ago! October brought yet another trip for me; this one began with the fall meeting of Classis Eastern US at Preakness Valley URC in Wayne, NJ, and ended at Mid-America Reformed Seminary in Dyer, IN. Along the way I got to spend a weekend with Jim, and he even made arrangements for me to lead a Sunday school class at his home church, Community URC in Schererville. Again the Lord providentially guided this vacation for his purposes, and I returned home physically tired but spiritually refreshed. Through all we do here on URC Psalmody, may his Name continue to be praised.